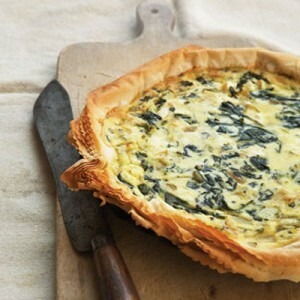 Delicious quiche recipe with super simple crust alternative. I whipped this together yesterday. We were in the mood for quiche, but didn’t have time to make a crust. Spread the butter along the bottom of an 8 inch pie tin. Whisk the eggs, milk, salt and pepper. Mix in the spinach, cheese, and peppers. Layer the filo dough neatly across the pie tin. Fold the excess dough under along the edge. Bake for 20-25 minutes or until the quiche sets.